//Step 2. 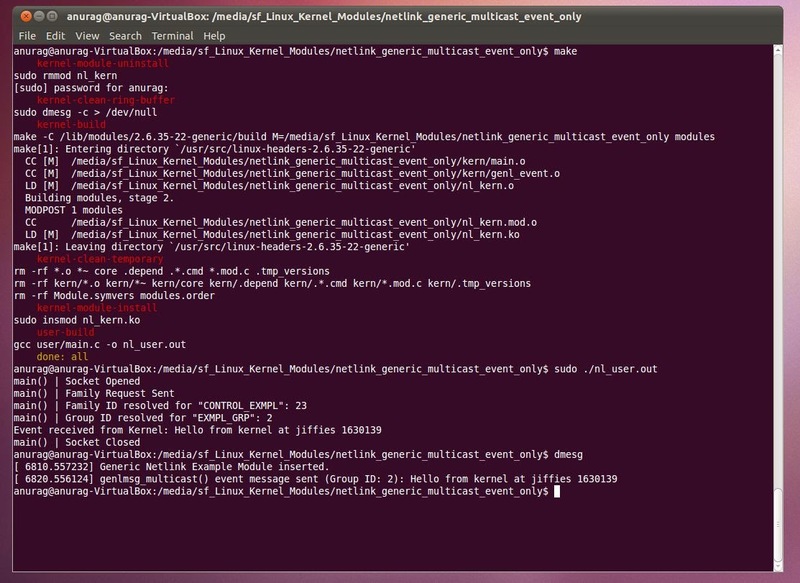 Resolve the family ID corresponding to the string "EXMPL_EVENT"
The makefile will load the kernel module automatically, so just execute nl_user.out to receive the events. The kernel module posts events every 5 seconds.